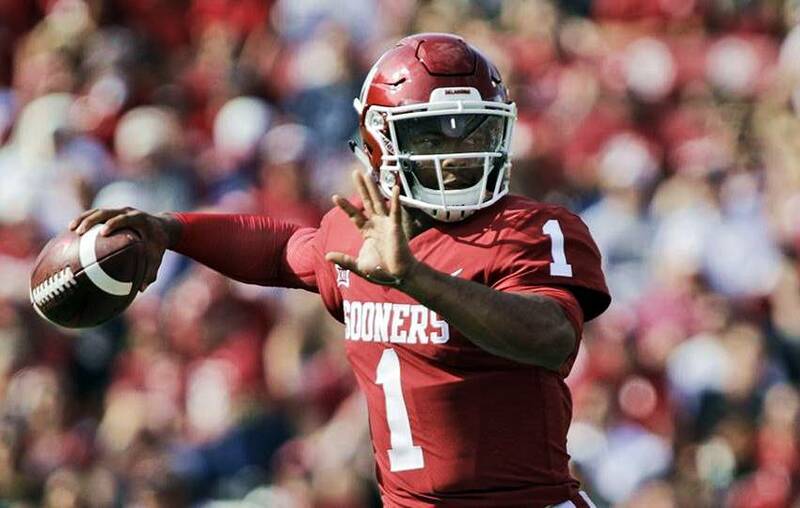 NEW ORLEANS— Oklahoma star Kyler Murray has been selected as the 2018 winner of the Manning Award, presented by the Allstate Sugar Bowl to the top quarterback in the nation. Murray is the second straight Sooner quarterback to earn the honor, following last year’s honoree Baker Mayfield. The Manning Award, now in its 15th year, was created by the Allstate Sugar Bowl to honor the college football accomplishments of Archie, Peyton and Eli Manning. It is the only quarterback award that takes into consideration the candidates’ bowl performances in its balloting. The award is voted on by a panel of local and national media, as well as each of the Mannings. “Week-in and week-out, Kyler Murray made highlight reel plays for one of the best teams in the country,” said Archie Manning. “For the Sooners to lose Baker Mayfield and still make the College Football Playoff shows just how tough and talented he really is. Kyler proved to be a great leader and exceptional athlete and passer worthy of recognition as the top quarterback in the country this year. From Allen, Texas, Murray led the Sooners to a 12-2 record in 2018, a fourth consecutive Big 12 championship, a second straight appearance in the College Football Playoff and a No. 4 final AP ranking. The redshirt junior completed 260 of 377 passes this year for 4,361 yards and 42 touchdowns to seven interceptions. He also rushed for 1,001 yards and another 12 scores, becoming just the second player in FBS history to throw for at least 4,000 yards and run for at least 1,000 in a season (Clemson’s Deshaun Watson did it in 2015 with 4,109 passing and 1,105 rushing in 15 games as he also won the Manning Award). Murray led the nation in total yards (school-record 5,362), points responsible for (324; tied), yards per pass attempt (FBS-record 11.6) and yards per completion (16.8). He also ranked second in passing efficiency rating (school-record 199.2) and passing touchdowns (42). Murray’s 54 total touchdowns in 2018 were the second-most in program history, his 42 passing TDs were third-most in a season at OU and his passing yardage total ranks fifth in school annals. He became the first OU player to ever pass for at least 300 yards and rush for at least 100 yards in a game, and he accomplished the feat three times this season. Murray is the first FBS player to average at least 300.0 passing yards (311.5) and at least 60.0 rushing yards (71.5) per game for a season. His 5,362 yards of total offense were more than 77 of the country’s other 129 teams, including five squads that are ranked in the final AP Top 25 Poll. Against No. 1-ranked Alabama in the College Football Playoff Semifinal at the Capital One Orange Bowl, Murray threw for 308 yards and two touchdowns while running for 109 yards and a score. He became the first quarterback to rush for 100 yards against a Nick Saban-coached Crimson Tide defense. Murray threw at least two touchdown passes in 13 of 14 games this season and threw at least three TD passes in 10 contests. He assembled a school- and Big 12-record streak of eight games with at least three TD passes and tied a Big 12 record by earning five conference offensive player-of-the-week honors this season. Former Texas running back Ricky Williams also accomplished the feat in his Heisman Trophy-winning season of 1998. Other finalists for this year’s Manning Award were: Ian Book (Notre Dame), Jake Fromm (Georgia), Will Grier (West Virginia), Dwayne Haskins (Ohio State), D’Eriq King (Houston), Trevor Lawrence (Clemson), Drew Lock (Missouri), McKenzie Milton (UCF), Gardner Minshew (Washington State) and Tua Tagovailoa (Alabama). In its first 15 years, the Manning Award has recognized the top names in college football. It has honored quarterbacks from 12 different schools and from four different conferences. The Big 12 Conference (Murray, Mayfield, Vince Young, Colt McCoy and Robert Griffin III) leads the way with five Manning Award honorees, while the Southeastern Conference (Johnny Manziel, Cam Newton, JaMarcus Russell and Tim Tebow) and the Atlantic Coast Conference (Deshaun Watson twice, Matt Ryan and Jameis Winston) have four Manning Award winners each. Oklahoma (Murray and Mayfield) joins Texas (McCoy and Young) as the only schools with two different winners. Statistically, the Manning Award has seen a wide-range of quarterbacks. Twelve of the Manning Award men threw for over 3,000 yards in their winning campaign, including 4,000-yard seasons from Murray, Mayfield, Griffin III, Marcus Mariota, Ryan, Watson (twice) and Winston. On the other hand, Murray, Watson (in 2015), Young, Manziel and Newton were all 1,000-yard rushers during their Manning years. Perhaps most impressive among the statistics of the quarterbacks recognized by the Manning Award is touchdowns scored. Ten of the winners accounted for over 40 touchdowns during their successful seasons – Mariota tallied a Manning Award-best 58 touchdowns during his winning campaign in 2014. 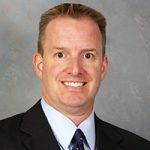 One of the more unique aspects of the Manning Award is the fact that it takes account of the quarterbacks’ bowl performances, in addition to the regular season. Twelve of the 15 Manning Award winners won bowl games during the season they won the honor. Ten Manning Award honorees led their teams to the CFP Semifinals or a BCS Championship game appearance (Matt Leinart, Mariota, Mayfield, McCoy, Murray, Newton, Tebow, Watson, Winston and Young). Six won national championships (Leinart, Newton, Tebow, Watson, Winston and Young). Previous Manning Award winners have also factored prominently in the NFL Draft as they all heard their names called on Draft Day (except for Murray, who will be eligible for the 2019 NFL Draft). Four honorees were selected No. 1 overall (Mayfield, Newton, Russell and Winston), while four others went No. 2 or No. 3 (Griffin, Mariota, Ryan and Young). All the Manning Award winners follow in the footsteps of the Mannings themselves. In college, Archie, Peyton and Eli Manning combined for over 25,000 passing yards and 201 touchdowns while playing in 10 bowl games and earning four bowl MVP awards. Archie was the No. 2 pick in the NFL Draft, while both Peyton and Eli were selected No. 1 overall. In addition to the Manning Award’s yearly honor, each week during the regular season, eight quarterbacks are recognized as Manning Quarterbacks of the Week. Sixty players from 59 different schools were honored during the 2018 season.